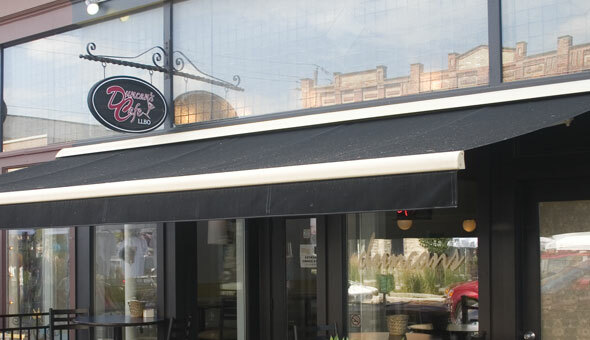 Duncan's Café & Catering is a restaurant at 60 Hurontario St. Second St. in the heart of Collingwood's downtown and a short drive from the Village at Blue Mountain. Duncan's Café serves a diverse selection of foods ranging from soups, salads and sandwiches to grilled steaks and vegetarian strudel. Even down to their salad dressings, all menu items are made from scratch. Catering is available seven days a week, in or out of the house.